Montreal is ready to spend up to $30 million to keep the city's largest recycling facility open and avoid having recyclable materials end up in the dump. 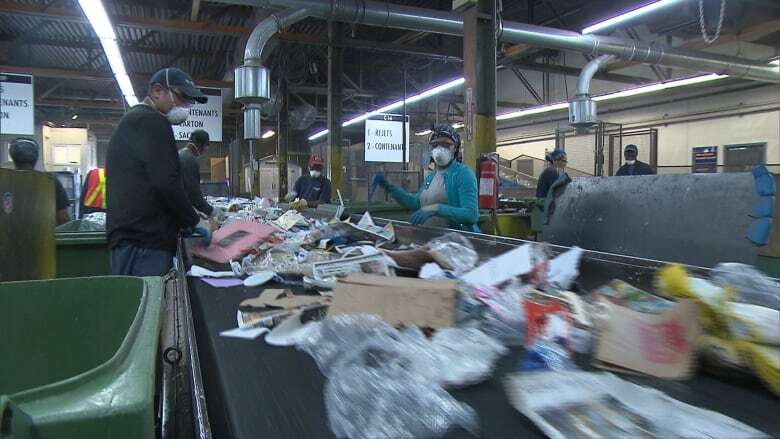 Montreal is ready to spend up to $30 million to keep the city's largest recycling plant open and avoid having recyclable materials end up in the dump. The operation risked being forced to close without the bailout, which would have crippled Montreal's ability to process the contents of the green bins that residents leave out on a weekly basis. The sorting operation, located in the borough of Villeray–Saint-Michel–Parc-Extension, was facing a loss of $9 million this year alone. "We couldn't have survived," said Gilbert Durocher, president of Rebuts Solides Canadiens, the company that runs the plant. Rebuts Solides was hit hard by China's decision last year to impose a wide-ranging ban on imported waste. It sold 60 per cent of the material it processed abroad — the vast majority of it to China. Since the ban went into effect, on Jan. 1, around 6,000 bales of paper and cardboard have been piling up at the Saint-Michel facility. The prospect of mounds of recyclable materials being transferred to the dump appeared to be a motivating factor in the city's decision to cover the company's losses. 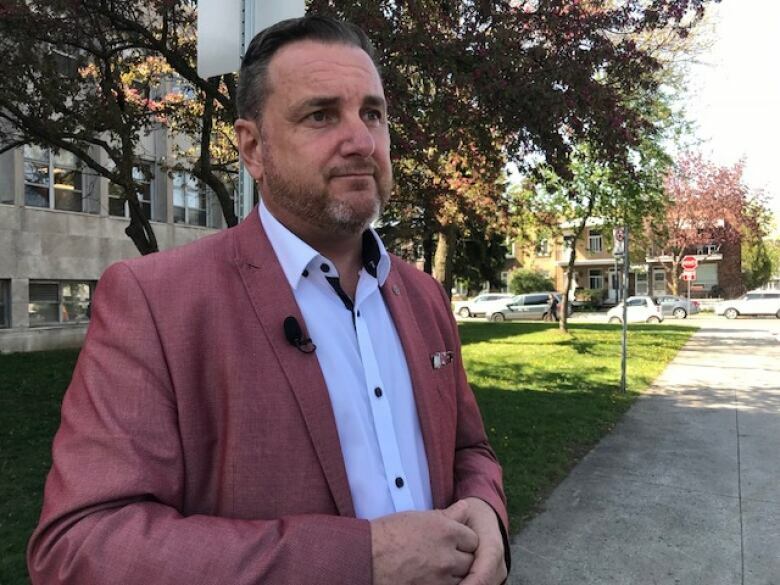 "[Recycling] is obviously an essential service, if you consider the effort that people make to recycle," said Jean-François Parenteau, the executive committee member responsible for the environment. "Using the landfill, for us, was not an option." While the city has set aside close to $30 million to help keep the company afloat over the next two years, Parenteau said it's unlikely all of it will be necessary. He also pointed that the city's agreement with the company, which expires in 2019, is to share both profits and losses from the recycling operation. Until this year, the city had received nearly $7 million from the deal. But industry experts said that while the city had little choice but to prop up the sorting facility, the bailout is ultimately only a short-term solution. "We have been doing collection for 30 years, but we have forgotten about recycling. That's one of the problems we have now," said Karel Ménard, who heads an environmental lobby group, Front commun québécois pour une gestion écologique des déchets (FCQGED). "We have to rethink curbside collection." China, which is the destination for most of the world's garbage, announced its ban partly in response to receiving huge amounts of contaminated recyclable materials. Cities across North America and Europe have been struggling to find solutions in the wake of China's decision. Going forward, Ménard said, Montreal needs to encourage residents to do a better job of sorting recyclable materials themselves. "We have to sort at the source, not at the end."